When it comes to decks there are really an unlimited number of ways to design and incorporate them into your backyard. Decks are fantastic for family gatherings, lounging in the sunshine and entertaining friends with the BBQ going. Backyard decks are a great spot where family memories really are made. When you are selecting a deck builder it is important to ensure that they know what they are doing, build your deck properly and use deck materials that will withstand the elements and las a long time. Functionality is also key and we can help you incorporate your deck into your backyard as part of a master landscaping plan. When we plan your deck project with you we will work very closely with you to ensure you are completely happy with your deck design. Most Greater Toronto Area residents usually live in detached houses or town-houses and these types of properties lend themselves to many creative deck options. A very critical decision is the type of decking (the surface that you walk on) and wood type (the materials used to create the deck structure). There are basically three types of decking on the market depending on your budget and preferences. Composite decking is the most expensive and is essentially a hard plastic material. Cedar decking does not need to be stained and is a medium price point and smells great. Pressure treated lumber is the most common and the least expensive option for the surface of your new deck. Many local home improvement stores carry all three types of material so it is quite easy to price your decking material out. To build the structure of your deck, the part you don’t generally see, we would typically use pressure treated wood or cedar. Many deck builders build decks with pressure treated wood as it is the most common type of wood and has the best price point. Pressure treated lumber is generally Pine wood that is sprayed with chemicals to seal the wood which increases the life span of the lumber. Pressure treated lumber used to be greenish colour, but it is now a “Sienna” colour which looks very much like cedar without the added cost of cedar. 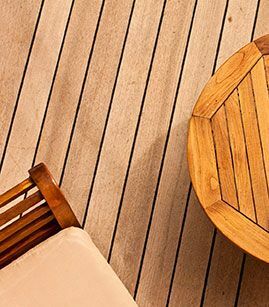 This type of wood colouring also compliments a wide variety of furniture and accent pieces that a deck builder would put onto your new deck. Every deck will require some long-term care and maintenance. As professional deck builders we understand the requirements that are needed to build long lasting beautiful decks based on the weather we get. Decks are a long term investment and should be built to last. If you try to cut corners and costs it will just cost more in the long run trying to fix cheap materials or poor craftsmanship. Wood and composite materials have varying degrees of maintenance. Pressure treated decks, cedar decks and composite decks will all have to be pressure washed (or hosed down) every spring after the winter muck has left us. If you are looking for a deck builder in please contact us. 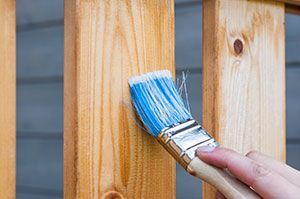 We would love to help you build the deck of your dreams. We can help you transform your backyard into a great gathering and relaxing spot.